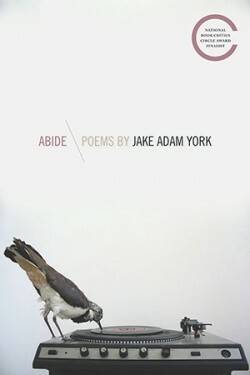 You don’t need to look far to find Jake Adam York’s posthumous collection Abide described as an elegy for the poet himself. For some, this may be a familiar tune, bringing to mind Larry Levis’s Elegy, also published posthumously and described similarly. But a careful reading of Abide rejects the urge to position York as the focus of the book’s attentions. His project—an ambitious, career-spanning one, of which this book is merely the latest installment—is a series of elegies for the martyrs of the American Civil Rights movement. York’s attention to the individual martyr is what empowers the project beyond simple gesture and into heartfelt mourning: those who are elegized are named specifically—John Earl Reese, Medgar Evers, William Moore, among others—and their stories are given intimate, sacred attention. common and factual as light. However, “Postscript” is one of only a small handful of poems that engage directly with the project in such explicit terms. This is for good reason, as the collection is strongest not in its discussion of the large-scale themes but rather when it is at its most intimate. Consider “Inscription for Air,” one of a number of poems dedicated to John Earl Reese, a young man who was shot while dancing in a cafe, in which York emphasizes not his death but rather the moment of ecstasy in the preceding dance, how the music brightens “for the smile of skin / behind the ear where love might lip its name.” This closeness is present, too, in the many epistolary poems that fill the book, in which the speaker directly addresses various contemporary (living) artists. This intimacy even permeates the more imaginative pieces, such as “Dear Brother,” a poem in which Hank Williams dreams of Rufus Payne, his mentor: “Come home, dear brother, / or tell me where / to meet you.” This gentle approach is one that York refers to in the book’s “Foreword to Subsequent Readings” as “relation,” a term he credits to Édouard Glissant. As in this poem, the acts of “relation” in this book most frequently revolve around music, and it is also no accident that this poem focuses on relating a white figure to a black one. However, though York states that, “the work of elegy in this regard involves crossing the color line,” he focuses not on crossing racial lines, but temporal ones. This is a wise move, as to focus solely on the crossing of racial lines might at best come off as a willful forgetting of identity and at worst as conveniently deployed appropriation. The sound of York’s argument could ring somewhere in between The White Guy Who Gets It and bright-eyed naiveté à la “Ebony and Ivory.” But he adeptly sidesteps these pitfalls by inviting his whiteness to be enmeshed with a reading of the book. The entanglement of one’s racial identity with one’s work is a dynamic most familiar to writers of color, and though York is afforded the privilege of inviting his racial identity into his work, it is perhaps the project’s most successful moment of relation. He goes on in the “Foreword to Subsequent Readings” to say that the aim of relation is for the “self and other [to] approach (or try to approach) each other as equals, as citizens of a moment in which time and place may be reframed.” Consider the blurring of time in the opening lines of “te lyra pulsa manu or something like that”: “As Ovid or Onomacritus—or was it Ike Turner?—said / music makes everything want to reach out of itself.” It is not unusual for the poems in this collection to glide effortlessly through history, nor is it uncommon for their focus to land squarely on music and its ability to transcend. Music is this book’s most fundamental material, acting as the conduit for York’s project of relation; the cover—a bird playing a record with its beak—is not a mere placeholder. Sound is an airborne force that bridges the gap from self to other across the pages of this book. What is carried on this force is not a shared experience of death, but one of euphoria, one of perpetuated hope as seen in the book’s pervading circularity: the spirals of records, the poems titled “Feedback Loop” and “Tape Loop,” and the onward looking “Foreword to Subsequent Readings.” There is too, though, something haunting in this circularity in the wake of continued unrest in Ferguson, Baltimore, and across the country. While Abide channels a degree of euphoria in its elegizing, the melancholic undertone is heightened in the current social climate, and while the circularity may beget a familiarity for York’s project, the deaths of Michael Brown, Trayvon Martin, Eric Garner, and Freddie Gray, among others, suggest a tune that has grown more tragic in its familiarity. Such a social climate even further highlights the fallacy of considering York as one of the subjects of this project’s elegy. In York’s own discussion of the project, the language of music persists, and he observes, “elegy and eulogy are notes on the same scale.” And maybe that gets closer to it: that the book should not be read as self-elegy, but that the body of elegiac work therein, both in its tenderness and permanence, may stand as eulogy. Willie VerSteeg is a poet from San Diego, CA living in Columbus, OH with his wife and stepson. His work has appeared, or is forthcoming, in The Jabberwock Review and The Southern Humanities Review. Jake Adam York. Abide. Southern Illinois University Press, 2014. 96 pp. $15.95, paper.